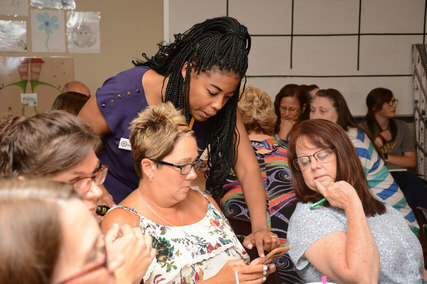 OKLAHOMA CITY (July 24, 2018) – An unprecedented number of registrations for the EngageOK summer professional development conference proves the seven-site road show format is meeting a strong need of teachers, said officials at the Oklahoma State Department of Education (OSDE). The one-day conferences took place July 9-19 at seven high schools around the state: Ada, Owasso, Bartlesville, Norman North, Durant, Duncan and Woodward. A total of 7,155 educators registered for all sites, exceeding 2017’s previous total of 7,000 Oklahoma teachers, administrators and school professionals. The cost savings for hosting the conference in a road show format are significant – an estimated $350,000 a year less than in years when the conference spanned multiple days in Oklahoma City. Dr. Amy Fichtner, Superintendent of Owasso Public Schools, noted the variety and quality of sessions. Among the most in-demand sessions were those related to how to reach high-need students on topics like trauma-informed instruction, school improvement, teaching economically disadvantaged students and culturally responsive instruction. Other popular sessions were devoted to integrating STEM in the elementary classroom, classroom management and the ever-popular What Students Wish Their Teachers Knew. Moderated by Hofmeister and featuring a panel of local students, the conversation included advice for first-year teachers, how class sizes affect classroom instruction, how to keep students engaged, what makes a teacher effective and the importance of building a classroom culture of trust and respect. Among the benefits of the regional road show format are easy access for educators, who are spared the need to pay for overnight accommodations or spend hours driving to Oklahoma City. 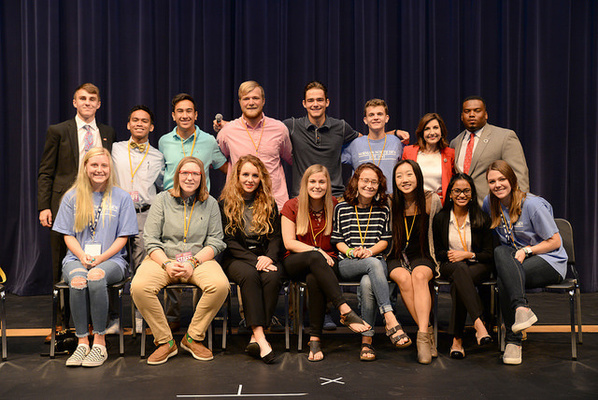 Woodward High School superintendent Kyle Reynolds said EngageOK was a big hit in his northwestern Oklahoma community. View the photos from EngageOK on the Road. PHOTOS: Educators in Owasso participate in one of many sessions presented by OSDE staff. Students from Norman and the surrounding area joined Supt. Hofmeister for a photo after a session titled What Students Wish Their Teachers Knew.